We know how passionate we are about our way of life, and it’s time that the world knew, too. When a friend who works for Hoard’s Dairyman called and asked me if I’d be willing to be one of their farmer bloggers, I physically had to cover my mouth so I didn’t excitedly scream ‘YES!! !’ into the phone. 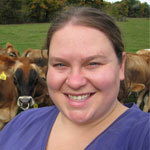 As a full-time dairy farmer, I often choose what I must do over what I like to do, and I like to write. When I learned that I would be starting in JUNE I was like, “Pinch me!” June, hopefully you know, is dairy month! And honestly, for most of my life I didn’t really care. Three years ago, after having started a Facebook page for our farm to help advocate about what we do, I felt a pit in my stomach. How could so much of our population not only not understand what we do but genuinely hate us for doing it? And what was I doing to help? I wanted to make a difference . . . no, I NEEDED to make a difference. So, last year, I took it a step further. I sent emails to my local radio station and newspaper, asking them to help me celebrate dairy month by introducing the public to local dairy farmers. I wasn’t sure if anything would come of it until two weeks later when I found myself writing a story for the paper and setting a time to go on the radio to talk about what we do. My point is that it’s not nearly as hard as you’d think to actually celebrate dairy month. Call your local radio station, talk to your newspaper, ask if you can put up a "Happy Dairy Month" sign at your local ice cream shop and add a photo of your cows for fun. 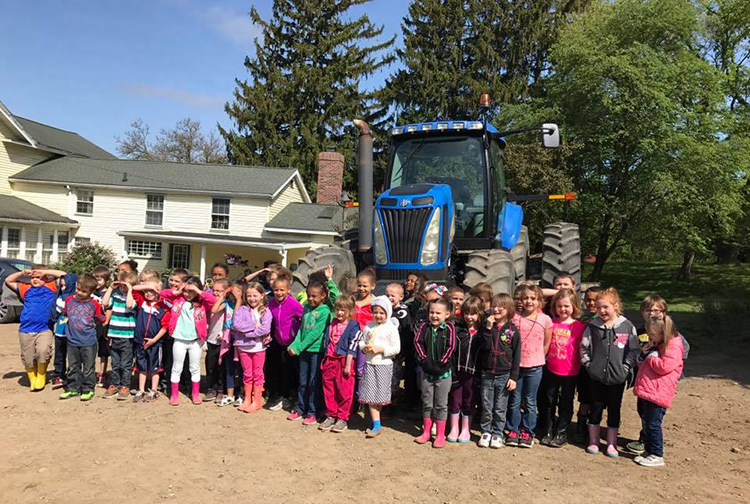 Even better, schedule a farm tour for your kid’s school class or take the time to go to their school, read a farm book, and share a dairy snack. The time to trust others to promote our lifestyle is over; dairy promotion isn’t just for dairy princesses anymore. Who could promote dairy better than dairy farmers? So start something new this year, show the world around you why you’re a dairy farmer. We know how passionate we are about our way of life and it’s time that the world knew, too. 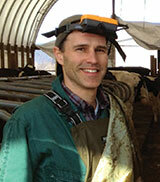 Join us as Daryl Nydam, D.V.M, Cornell University, presents “Monitoring and managing metabolic diseases in the transition cow” on Monday, June 12, at noon (Central time). The transition cow faces a number of challenges including metabolic and infectious diseases, which can cause problems throughout the upcoming lactation. This webinar will discuss energy balance and minimizing disease risk during this critical stage.